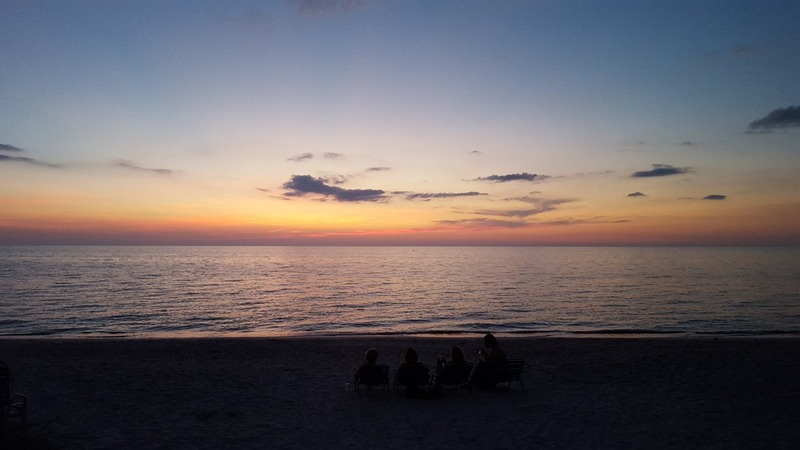 Pelican Bay – Naples, FL – One of the many things I love about living in Pelican Bay is walking down to the beach after work to see sunset. This evening’s sunset was just beautiful, as was the afterglow. Pelican Bay is truly an amazing place to live. If you are thinking about owning a second home in Pelican Bay, give me a call. I’d be delighted to help you find your place in paradise. Pelican Bay – Naples FL – Sunday afternoon I wanted to drive down to the Marker36 parking lot to walk down to the Marker36 beach. Imagine my surprise when I found the parking lot full. I then headed to the North parking lot & managed to find a spot because another car was pulling out. Work is still being done on the Commons parking lot which is causing the other lots to fill up. My friend & I had a lovely walk down to the beach. You can tell from the photo above, the beach was buzzing with activity. 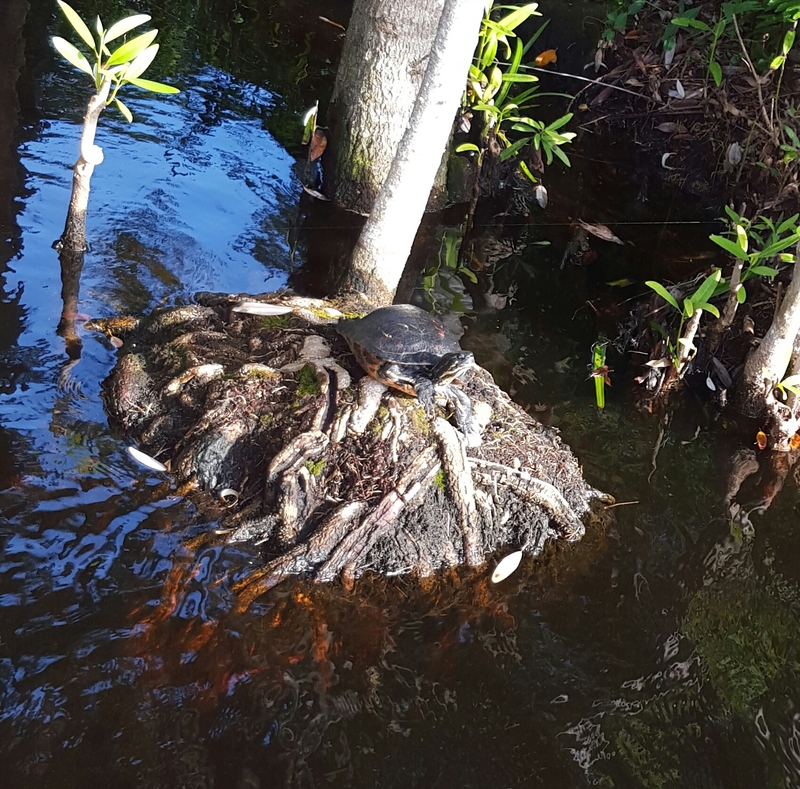 On our way back, we saw this turtle soaking up the sun. 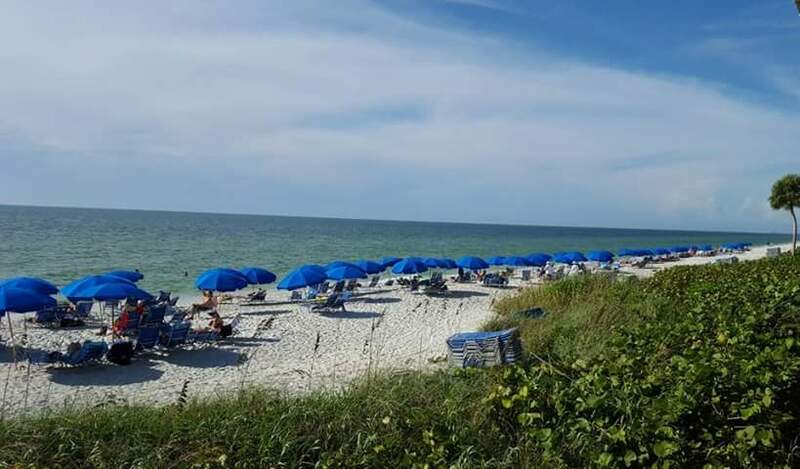 Pelican Bay – Naples, FL – The waves were really rocking tonight at the Marker36 beach in Pelican Bay. My husband and I love to swim in the Gulf but tonight we took a pass. The waves were just too rough for me. Please enjoy the sound of the surf and the wind. As Don and I walked home from the beach tonight, we saw trams full with peopled headed to the beach for sunset. It appears to me that our snow birds are returning. Will you be wintering in Pelican Bay? Pelican Bay – Naples, FL – Should you hire a home watch service when you are not in residence in Pelican Bay? How do you hire a home watch service? Today I’d like to share an experience I recently had with a resident of Pelican Bay. This resident rents her unit out in season. She tries to enjoy her unit when she can out of season. Her tenants left in May and she arrived at her condo the beginning of September. She employs a person to come in and check her unit every week when tenants are not in residence. I know this woman well. Five minutes after she entered her unit, she called me sobbing that her unit was full of mold. I raced over to the unit and when I opened the front door, I was thrown back by the smell of mold. All the cloth fabrics in the unit were damp; the couches, bed spreads, drapes etc. I immediately went to the air handler and found a pitch black air filter. I then started looking for a leak. While I was there her home watch person came into the unit. He told her that he was just in the unit the day before and there had been no issues. I referred the women to an environmental specialist. This is a person who comes into a unit to determine the origin of the mold. Once the origin of the mold is discovered and the type of mold is determined, the specialist writes up a work order for a mold remediator. The specialist determined that the thermostat in this woman’s unit had been left had been set to the FAN ON setting NOT the auto cool setting. He told her for the level of mold that was in the unit, the fan setting must have been set wrong for months. One would think that her home watch person would have seen the settings on the thermostat were incorrect. One also wonders if this particular home watch person ever entered the unit since May considering the smell of the mold and the black spots that had appeared on the furniture. To make a sad story short, the mold remediation cost just under $10,000.00. This cost does not include the cost of new furniture, carpeting, beds, bedding etc. The home watch person for this unit was not insured. Home owners insurance did not cover this disaster either. I am in and out of condos almost everyday previewing units for potential buyers. I had another experience in a condo where they use a home watch person. When I walked into the unit, I noticed how hot the unit was. The fans were all off! I checked the air handler and the filter was filthy. The thermostat read 87 degrees! When the home watch person was called, they said they had just been in the unit the day before and didn’t notice any problems. Another condo I was in recently had all the fans off and the thermostat read 84 degrees. This condo also had a home watch person. Yet another condo with a home watch person had this on their garage wall. 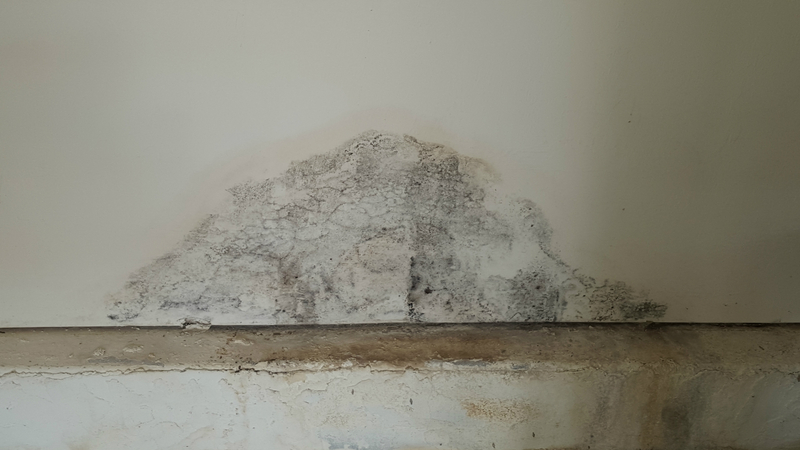 Mold problems can grow quickly if not caught in time. Each one of these owners trusted the person they had watching their unit. There is also a blog article I ran across that talks about questions you should ask your home watch person. I would also ask a home watch person how often they check the filter in the air handler. What happens when it has to be replaced? 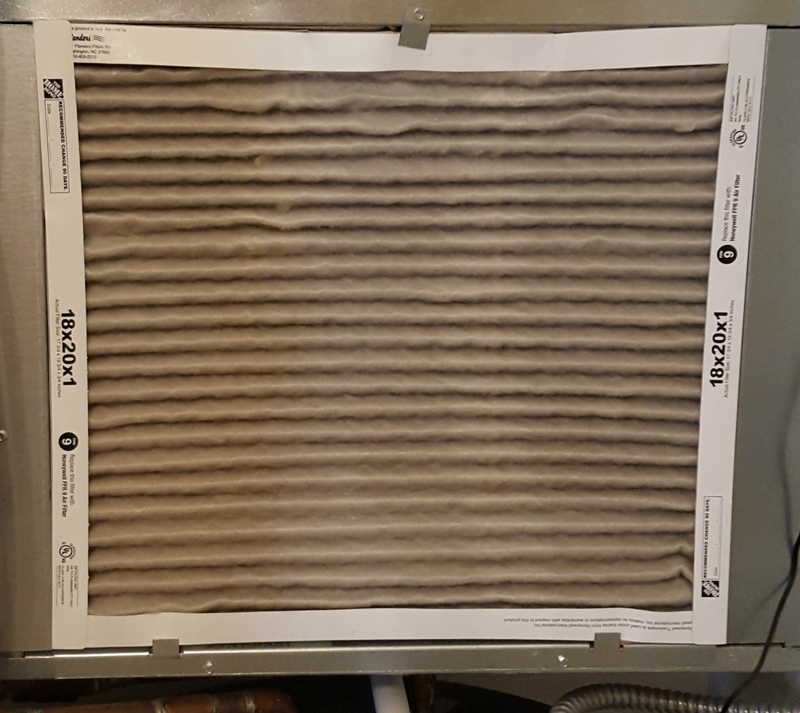 Dirty Air Filters can cause all sorts of problems. There are thermostats sold today that allows remote access to the thermostat through a computer, tablet, or smart phone. You could be up North and be notified if there is an issue with your humidity in your Florida unit. If you are an absentee owner, this type of thermostat combined with an insured home watch person could save you from massive problems down the line.